We are proud to represent and stock Airetool, Elliot, Goodway and T.C. Wilson retubing-cleaning tools. We are one of the largest stocking distributors of Goodway tube cleaning products and equipment in So. California. We carry at least 15 tubes cleaners in stock at all times. We rent tube cleaners and repair all of our customers tube cleaners if they have a breakdown. 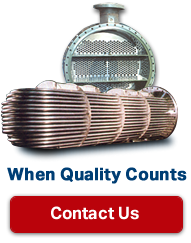 We rent tube extracting equipment and the support tooling to go along with it. We stock and sell tube expanders, cutters, blades, spears, reamers, grooving tools, jack screw pullers, tube sheet hole brushes, beading tools, boiler cleaners and all other retubing tools from Airetool, T.C. Wilson, EGI and Elliott.